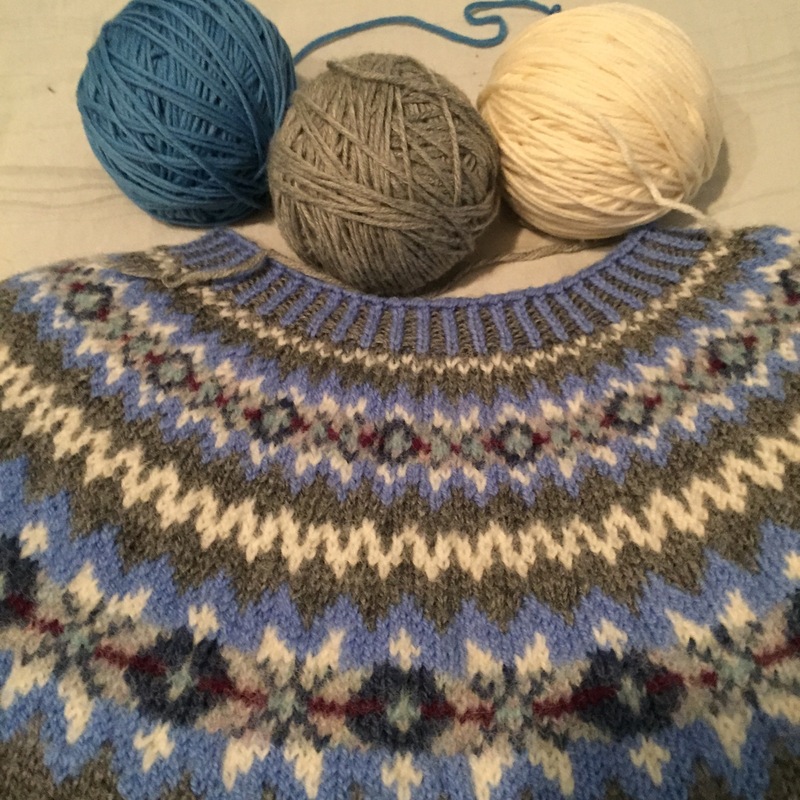 This is a sweater that was purchased in the Shetland Islands. I was asked to use it as inspiration for a child’s hat. I’m using DK Superwash Merino Wool. It took me about 45 minutes to work out the chart and figure out where I was going to use these three colors. In the original there are 7 colors. Now I need to figure out what size needles I need to use and make sure my gauge works out. I really love working on these types of things. It takes much more thought than just knitting from a pattern that’s already worked out. blue, custom, custom order, grey, knit, knitting, order, shetland, shetland islands, snowflake, white, wool. I sense the approach of a very beautiful hat. 🙂 (Spoken as a complete stranded/fairisle addict.) Enjoy the knitting.